Systemic lupus erythematosus, or simply lupus, is classified as a chronic autoimmune connective tissue disease. Patients usually experience tissue damage and inflammation, mainly because the immune system attacks the tissues and cells of the human body. The most common body parts affected by this chronic inflammatory disease are the nervous system, kidneys and liver. Furthermore, it can also affect blood vessels, joints and even the heart. To fight off the minor and major symptoms of lupus, patients can learn more about the various diagnostic procedures and possible treatments for such serious health problem. 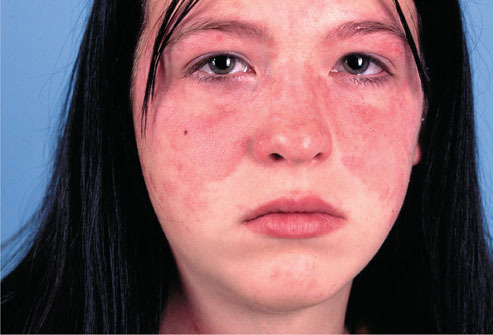 The symptoms of lupus may vary from one person to the other. Based on medical records and other relevant studies, no two cases are exactly the same. For others, the signs may develop slowly, while for others the development of the disease is sudden. In some cases, the effects are permanent, while they can be temporary for other individuals. More often than not, this severe medical condition is associated with major and minor symptoms like memory loss, depression and anxiety. Likewise, most patients experience easy bruising, dry eyes and chest pain. Because the signs of this disease vary, patients may experience different levels of symptoms. In most cases, it is closely associated with Raynaud’s phenomenon, alopecia or hair loss and painful mouth sores. 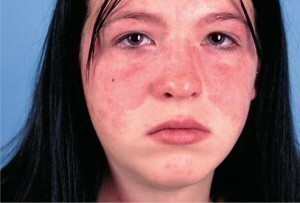 One of the unique symptoms of this condition is the butterfly-shaped rash, which affects the face particularly the areas covering the bridge of the nose and the cheeks. Swelling, stiffness and sharp pain can also be felt in the joints. Other early symptoms of the disease are weight gain or weight loss, fever and fatigue. The diagnosis of lupus is quite challenging because the signs usually differ from one person to another. Because of this difficulty, patients need to undergo a series of diagnostic tests and procedures. 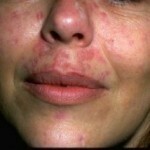 To help determine this unique medical condition, a set of criteria was published by the American College of Rheumatology, which includes the presence of low blood counts, kidney disease and sun-related rash. Other methods used for lupus diagnosis are syphilis test, electrocardiogram and chest x-rays. Additionally, patients may also undergo antinuclear antibody test, urinalysis as well as kidney and liver assessment. In certain cases, physicians use erythrocyte sedimentation rate and complete blood count. After making the right diagnosis of the disease, certain medications can be given to patients. Most of the symptoms of lupus can be treated using non-steroidal anti-inflammatory drugs such as ibuprofen and naproxen sodium. Corticosteroids and anti-malarial drugs can also provide patients with numerous health benefits against this particular disease.